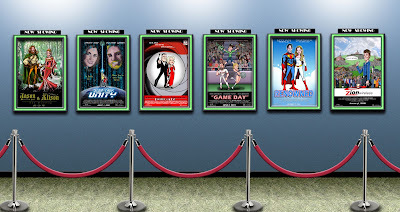 These movie posters were done for friends and family. 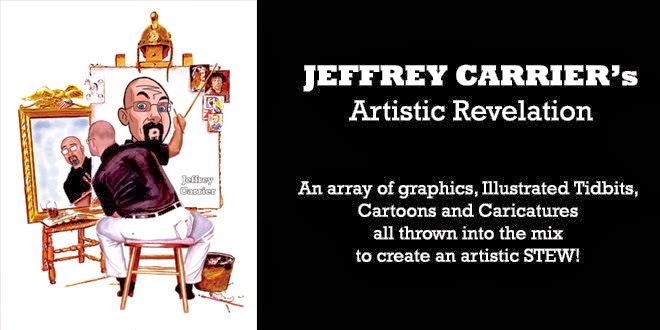 Hand drawn and manipulated in PhotoShop to movie-poster specifications. complete with credit text and showcase at the bottom for an authentic look! 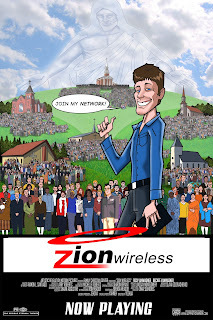 This was done for a pastor of a church called Family Christian Center in Clermont, Florida and centers him as the head of a large network of fellow Christians, asking you to "join my network" in a movie called "Zion Wireless" which is a parody of the wireless, mobile network called Verizon Wireless. 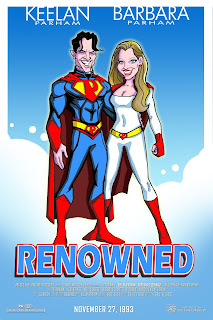 This was done for a couple of friends who are super-hero fans and owners of a company called Artistic Talent Group. It was done for their anniversary and is titled "RENOWNED" which is a play on words that Mr. Keelan Parham used on a previous "How-To" book he sold. This poster showcases both Keelan and his wife, Barbara (Barbie). 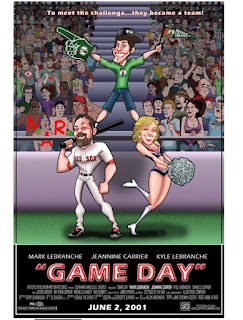 This poster was done for my sister, Jeannine, her husband, Mark and Marks son Kyle for Mark & Jeannine's anniversary. They enjoy sports and are from the New England area. 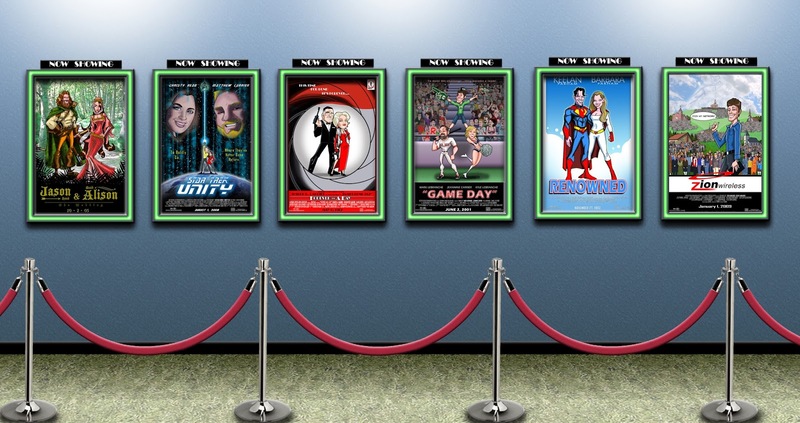 This poster was done for my parents for their anniversary. 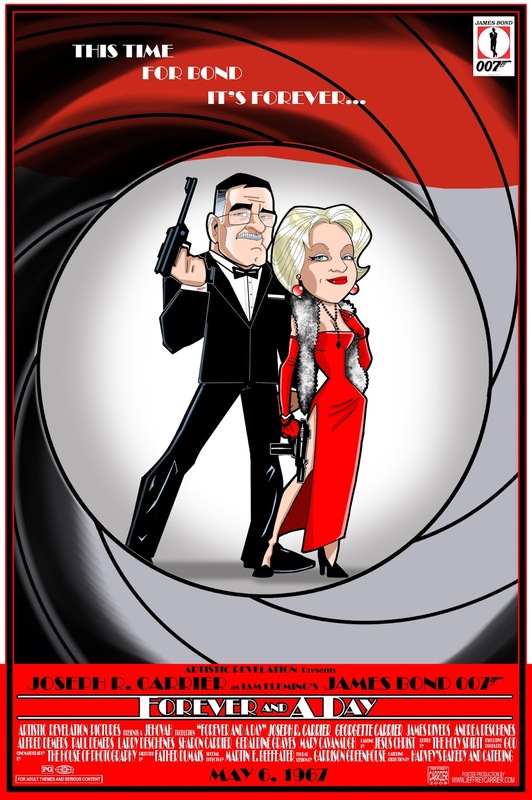 It was done in the style of James Bond...and yes, my mom is showcased as a Bond-babe. 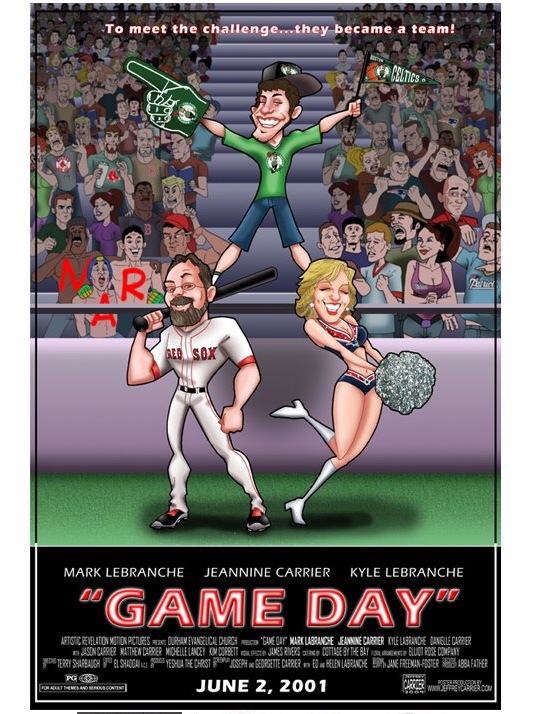 This poster was done for my brother and his wife for their wedding and was revealed at their wedding reception. My brother is an avid fan of Star Trek and I thought it was a clever idea to give it the caption, "To Boldly Go...Where They've Never Gone Before". This poster was done for my first brother and his wife for their wedding and was also revealed at their wedding reception. I got the idea from a photo I had of them dressed in Cosplay for a medieval theme. 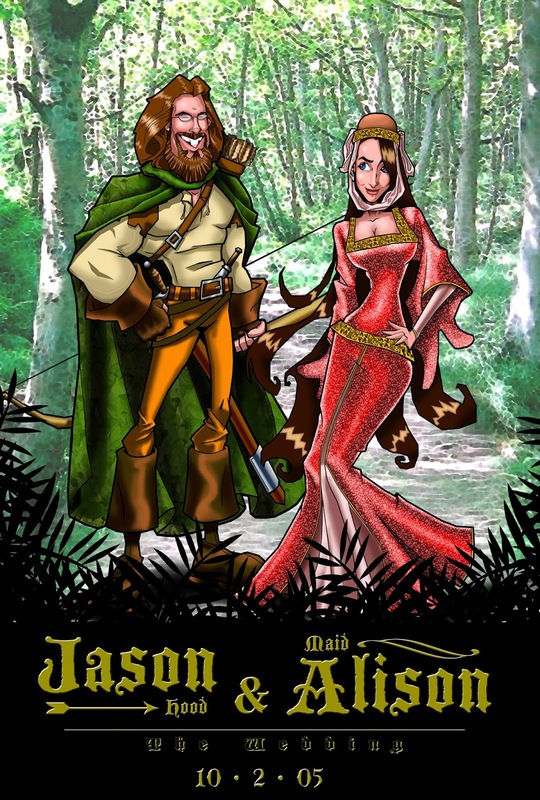 So, I have them displayed here as Robin Hood and Maid Marianne.